Home 2019 ARTIST audio Djsmokemixtapes Featured Music Artist hip hop Instagram Music Track Music Video New Music Official Video Underground urban visual youtube Rising R&B star, Karma drops new revolutionary album!!! LOS ANGELES, CA – If you put out good vibes into the world, you’ll get good back as a law of nature. That’s the mantra by which Southern California artist Karma lives her life. True to her name, she is on a mission to put as much good into the world as she can … and she does so through her incredible music and acts of kindness! 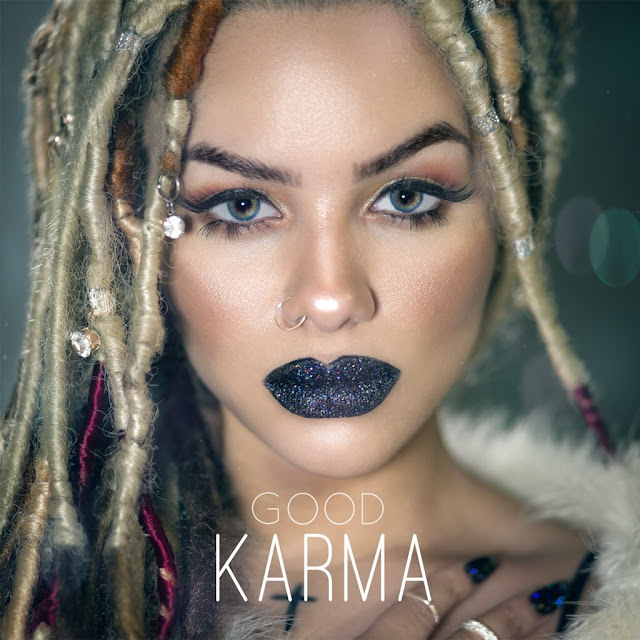 With a fun but soulful sound that embraces notes of R&B, pop and hip-hop, Karma is one of the fastest-rising female singer/songwriters. Her unique style is turning heads internationally. Her most recent album, “Good Karma,” displays that one-of-a-kind sound across 14 undeniable hit tracks that fans of all ages will love. Though the project isn’t set to drop until Feb. 14, Karma has already released the debut single, “RayBanz.” It’s a super club banger that she said is great for having fun with your best friends! “It’s for the ladies – the fellas too, but more-so the ladies,” she said. “It’s about making girls feel good. It’s written from my point of view as a woman in the club with your girls and just feeling good about yourself while trying to catch the perfect lighting. Girls know what I’m talking about, lol. It’s about feeling saucy, bossy and looking cute. Karma said this album is the absolute perfect blend of turn-up fun songs, with a mix of a couple of love ballads strategically placed throughout. Critics who have gotten an early private listening session of the album have compared it to a combination of Future, Rihanna and Drake. Karma has always been into music since she was a young girl. Her mother was the first person to ever manage and believe in her singing gift. Unfortunately, she passed away from breast cancer when Karma was still quite young. Her family was involved in the industry, with her uncle the legendary Bobby Womack and her father as a musician and producer. By age 10 she was performing in girl groups with her sisters and friends, and by 16 she was full into a solo career. Along the way she has developed a sound and style that is different from anyone else out there. Her tone – a soulful blend of R&amp;B and pop – pairs perfectly with the way she writes. She’s both current and progressive at the same time. Even though she wants to make feel-good, mainstream music that will appeal to the masses, her music still genuinely comes purely from the heart when she writes. Karma wanted to thank her main producer PARKER (IG: @CallMe_Parker) for producing, engineering and mixing/mastering the entire project on top of shooting all the videos and pictures for it. She’s also grateful to her manager Leonardo Cavalli (IG: @King_Cavalli) and THE CROWN MUSIC, which is a team of four that believed in her dreams and has always been open for partnerships. Karma said she’s already started working preliminarily on a follow-up project that she wants to release before the end of 2019. She said it will dive deeper into situations of life, love and finding yourself. Right now her team is focused on putting together a tour starting late spring/early summer. Until then, fans can check out her new single “RayBanz” on all digital distribution sites, and can look forward to her album “Good Karma” set to drop February 14, 2019. Go preorder it now from all streaming platforms.